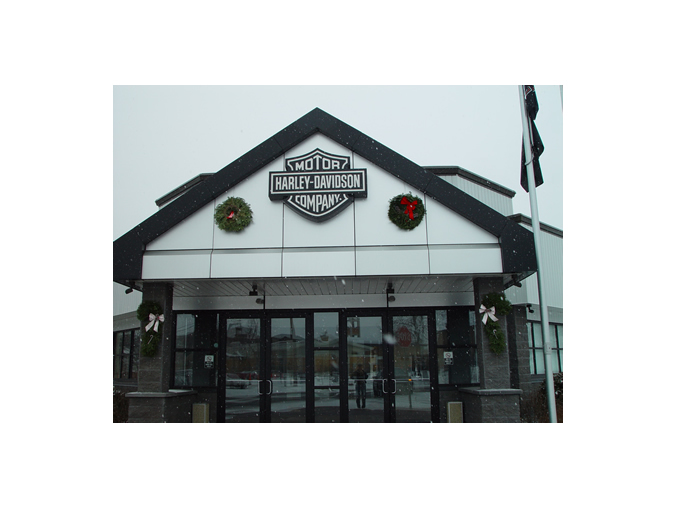 Harley Davidson expanded their Tomahawk plant and added and updated entrance. APW and All Fab provided the details and 2 different products to complete this design. The black trim consisted of an aluminum skin that was laminated over paper honeycomb. The silver inset was consisted of an anodized aluminum composite panel.